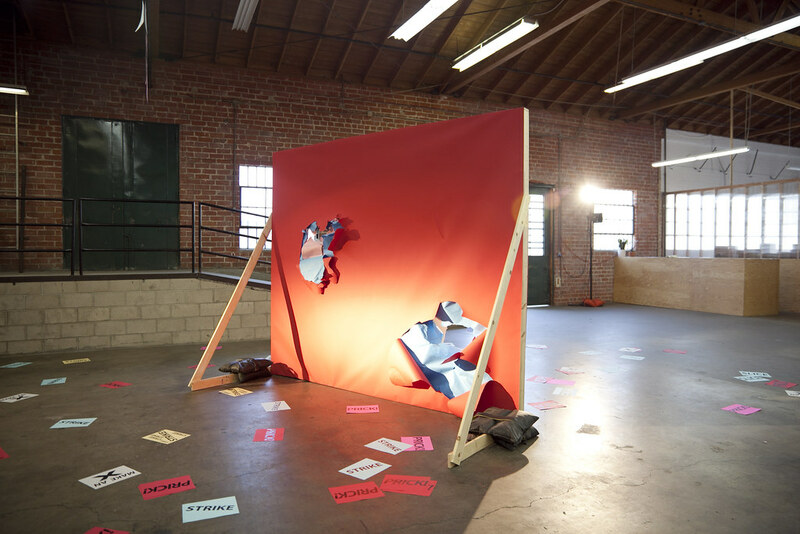 Los Angeles-based artist Gina Osterloh investigates operations of mimesis and perception, along with new ways of addressing identity through photography, video and performance. Her photographs depict constructed life-size room environments activated through still performances, papier-mâché models and cardboard cutouts. In all of Osterloh’s works, the artist’s hand is evident. 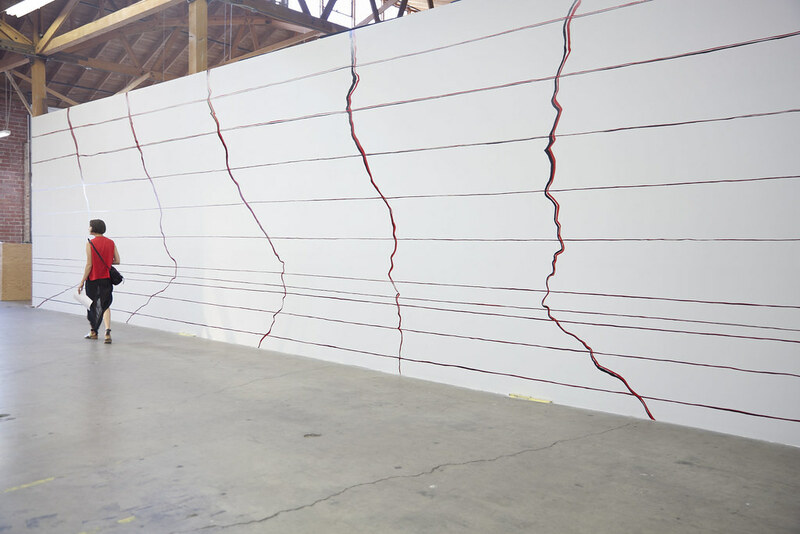 In her constructed sets – hand drawn lines, dots, voids, shadows, and silhouettes cut into and mark the surface of paper. Through mark making, physical posture, and the deliberate placement of the body within her sets, Osterloh actively questions the underlying structures of photography, its modes of perception, and the recognition of signifiers. Whether the end material object is a photograph, projection screen, or wall, the photographic field becomes the surface of articulation. 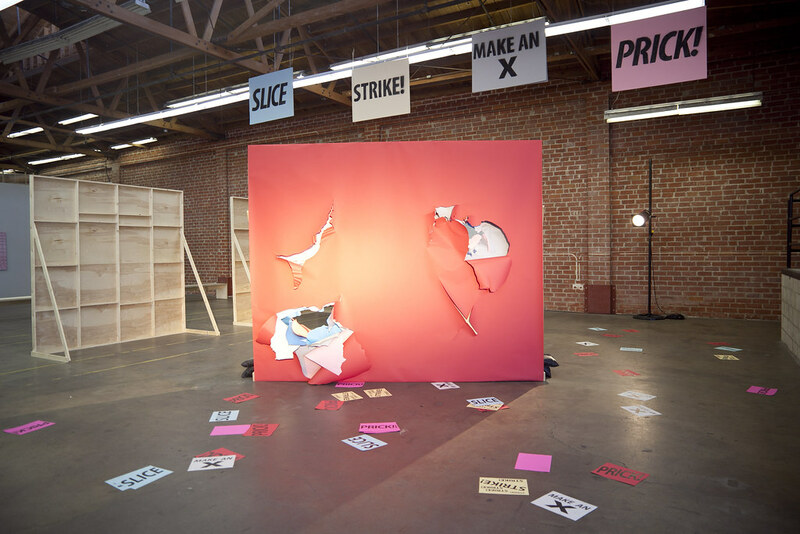 On opening night, Osterloh’s own body struck and sliced paper for an audience in her performance Prick, Prick, Prick!. Performed with the presence of artist D. Hill, Osterloh expanded her ongoing investigation of call and response relationships between the body and photographic frame, as well as repetition and rhythm produced by speech and actions. 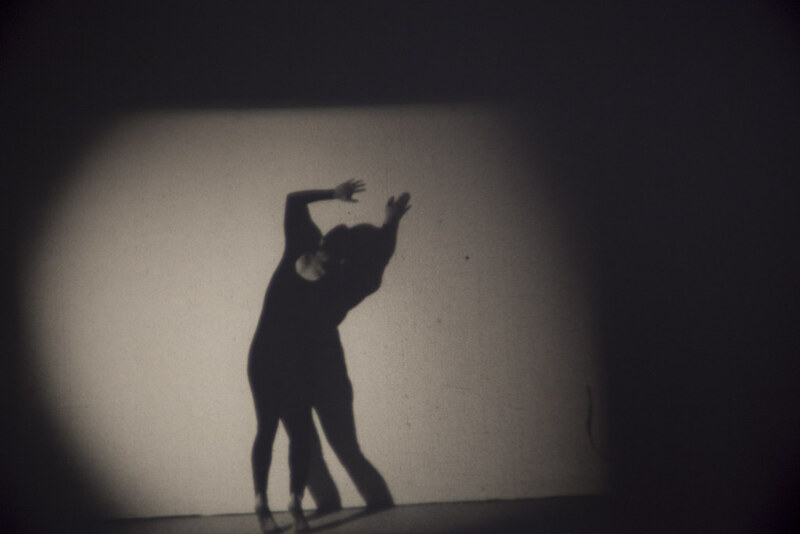 Possibly the exhibitions most powerful work, Osterloh’s new 16mm film, Press and Outline, shows the artist pressing into and outlining her own shadow. The result is odd and intimate — the physical body and its shadow simultaneously oppose and support each other and at times are indiscernible. 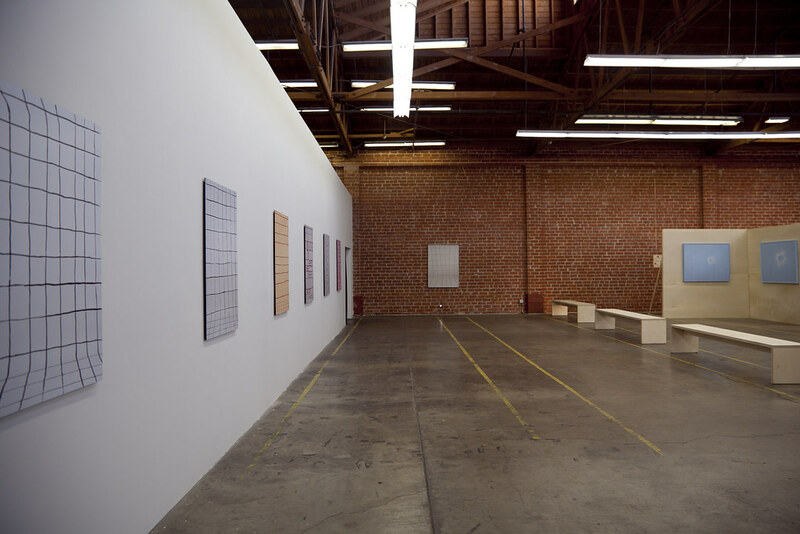 The exhibition is on view at François Ghebaly Gallery through August 23rd.